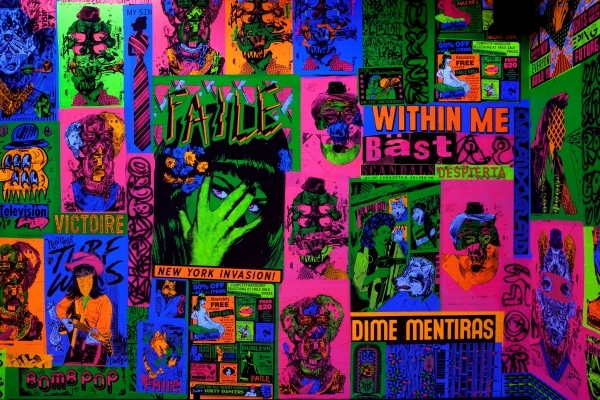 The works on view include multimedia installations, large-scale paintings, and sculptures that appropriate imagery from a wide variety of sources, including American quilts, folk and Native American art, religious architecture, pulp magazines, comic books, sci-fi movie posters, adult entertainment advertisements, and storefront typography. 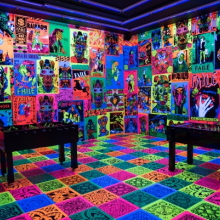 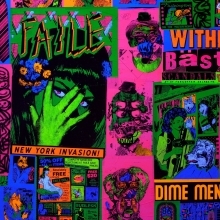 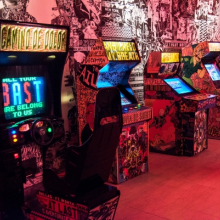 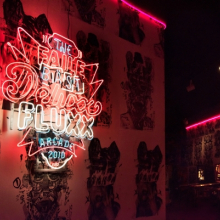 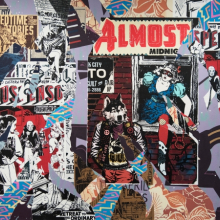 The exhibition includes The FAILE & BÄST Deluxx Fluxx Arcade, an interactive environment created in collaboration with Brooklyn artist Bäst that includes video games, pinball machines, and foosball tables that are simultaneously sculptures and functioning games. 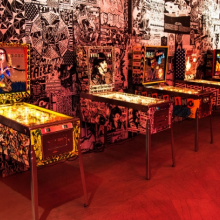 The installation is a nostalgic nod to video arcades and punk rock and graffiti culture. 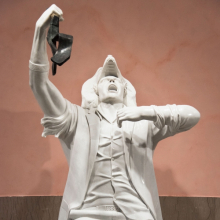 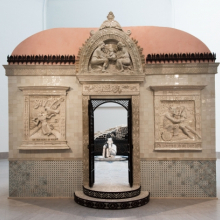 Also on view is FAILE’s Temple, a life-size structure reminiscent of a ruined religious temple. 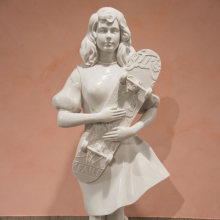 Made of iron, ceramic reliefs, and painted ceramics, and incorporating prayer wheels and popular-culture imagery, Temple imagines a reaction against commercial development and consumer greed. 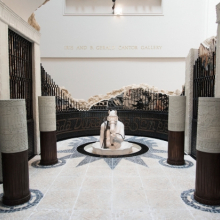 This exhibition is supported by Allouche Gallery, The Dean Collection, and Geoff Hargadon and Patricia LaValley.